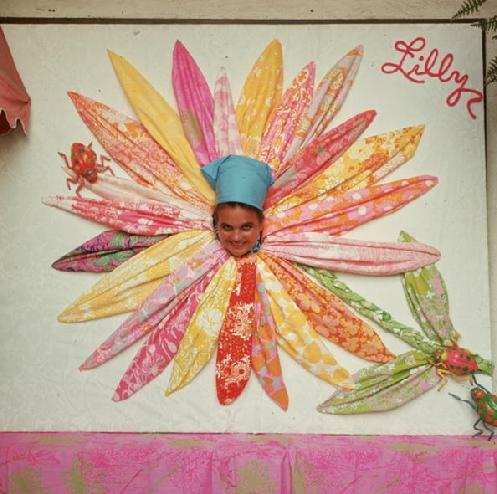 Click Here for information about the Lilly Pulitzer Rousseau exhibition at the Museum of Lifestyle & Fashion History. Due to popular demand, the exhibit has been extended to November 2012. 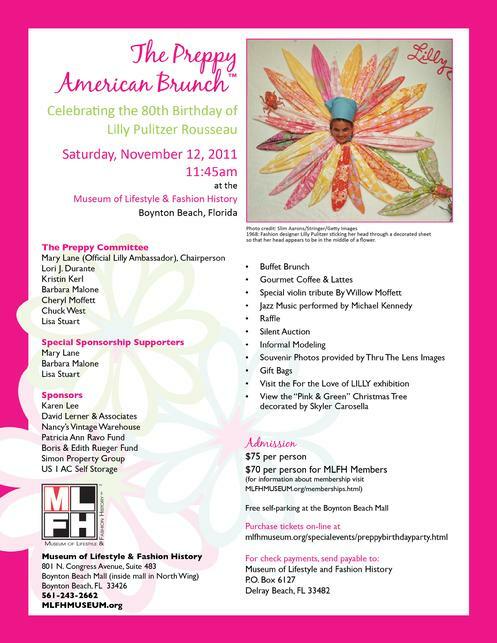 Please visit this website again to check for additional seat availability or call 561-243-2662.
for the Preppy Brunch, see the BUY NOW Buttons below. Your financial support of this brunch is needed. The following for your review are sponsorship categories for various dollar amounts. The Museum of Lifestyle & Fashion History is a non-profit 501 ( c ) 3 tax exempt organization. Tax I.D. #65-0999010. Your financial donation will also provide your company with a unique marketing opportunity to reach a significant target audience.